Preoccupying yourself in a hobby like gardening has grown to be a feel good hobby, that involves a considerable amount of work but at the end of the day, it can be satisfying and rewarding. If you think you are not gifted with a green thumb and don’t know anything about growing exotic hedge plants or rare orchids, leave them to the horticultural experts. Instead, focus on basic flowering plants or put up a small herbal garden in an area in your patio or any vacant lot. — Expand your knowledge by reading about specific temperature, soil and proper care pertinent for your plants. 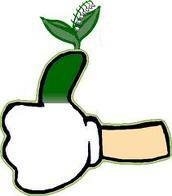 You can ask your friends and relatives, who can share tips about plant care. Garden shows abound during the summer and its good time to visit, learn and be inspired. — Like any hobby, turn gardening into a passion by constantly and consistently doing it. Some consider mornings as the best times to enjoy gardening since everything is relaxed and refreshed, while others love to do it after work when they are not hurried and also to relieve stress. Set a specific schedule when you can spend a considerable amount of time and stick to it. — The ingredients required for healthy plants include sunlight, soil and steady supply of water. While some plants require watering everyday, most plants need minimal requirements. When it comes to watering the general rule is that the soil needs to be kept lightly moist to prevent it from drying out. — You don’t need state of the art garden equipment just the basics for opening and improving, weeding and cultivating the soil. Look for spading forks, hoes, trowels, rakes, shovels and shears or clippers. — Wash your tools before putting them away to avoid corrosion and rust. Keep your tools with cutting edges in top shape and sharpen grass cutters and keep clean always your shovels, hoes and rakes before keeping them in the storage. Kleptomania – What It Is All About?